I’ve signed up for Blaugust 2018, which is a wonderful initiative from Belghast at Tales of the Aggronaut to initiate or (re)kickstart gaming blogs. It’s amazing what one enthusiastic blogger can do – so far there’s 80+ blogs signed up, and a great list of mentors from the more established blogs out there. So many thanks to Belghast and crew for all the work on this – and for helping waking this blog up again! 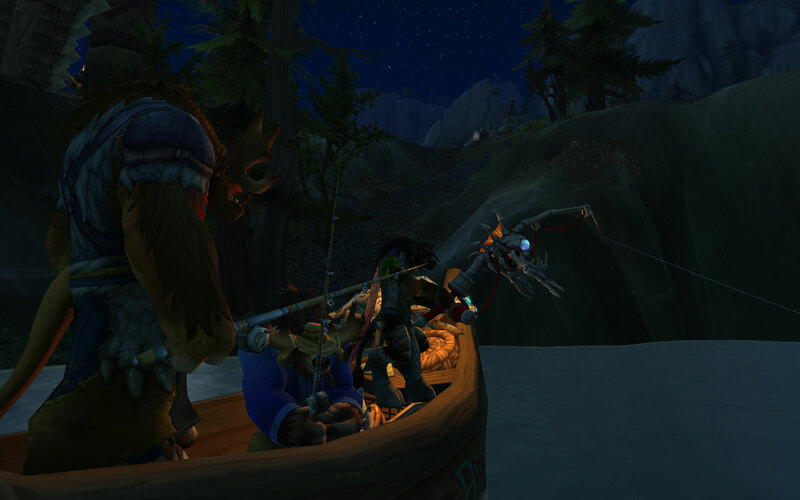 With the Thonry War underway, I needed to get away from Sylvanas’s crazy crusade for a while, and there is no better way to find some peaceful equilibrium than fishing1. 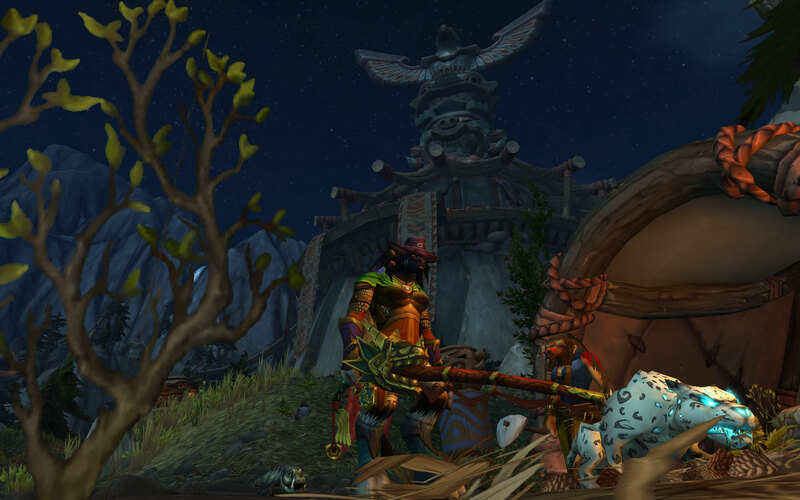 I’ve been tootling around the Legion zones seeking all the rare fish for the Bigger Fish to Fry Achievement. There’s a fun mechanic where you occasionally fish up a special bait that in turn gives you a two minute buff in which you can catch the associated rare fish. 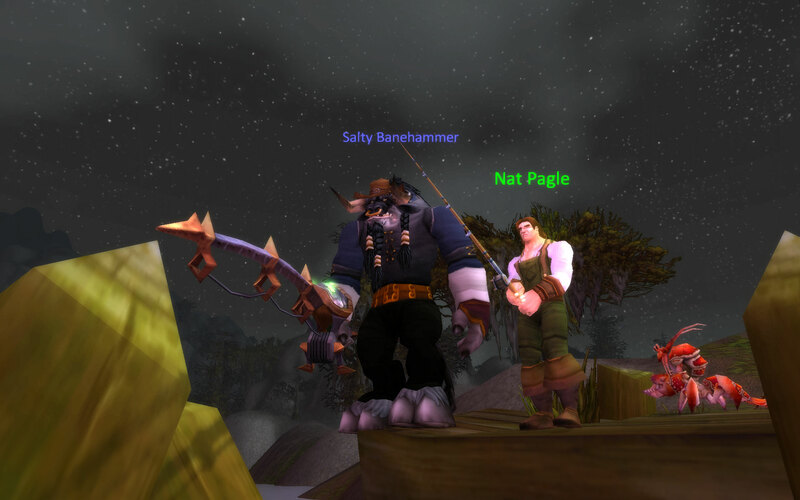 The bait names are all pretty amusing – from Message in a Beer Bottle to Stunned, Angry Shark – and some even create things like a Sleeping Murloc who runs around throwing fish with gay abandon. Each zone has it’s own fish, and it’s a nice way to tour some of the more out of the way places on the (still beautiful) maps. But I mostly love just quietly throwing in a line and waiting. Those moments when nothing is happening, and you can simply enjoy the serenity and scenery. 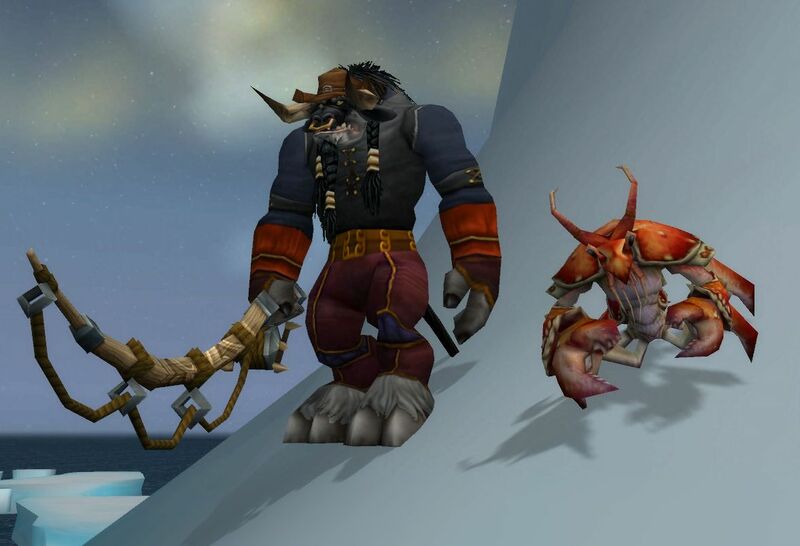 It’s like real fishing, but with less rigmarole, and far less smelly. 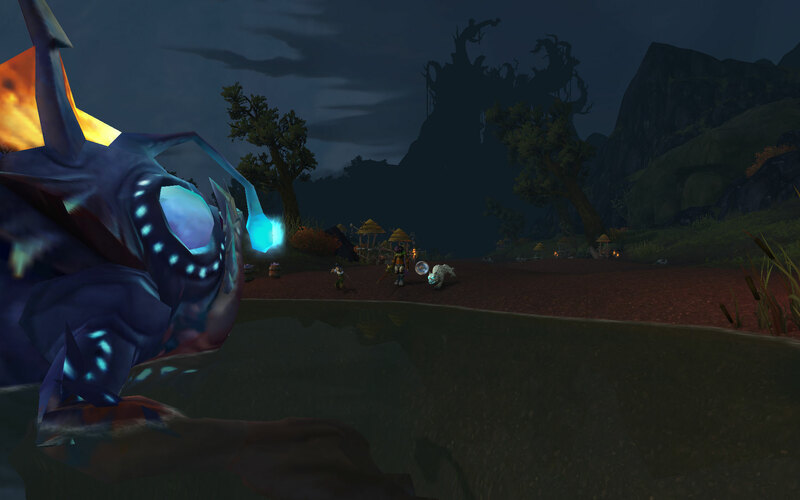 Unless you fish up some Aromatic Murloc Slime I guess. Another week, another valiant attempt. 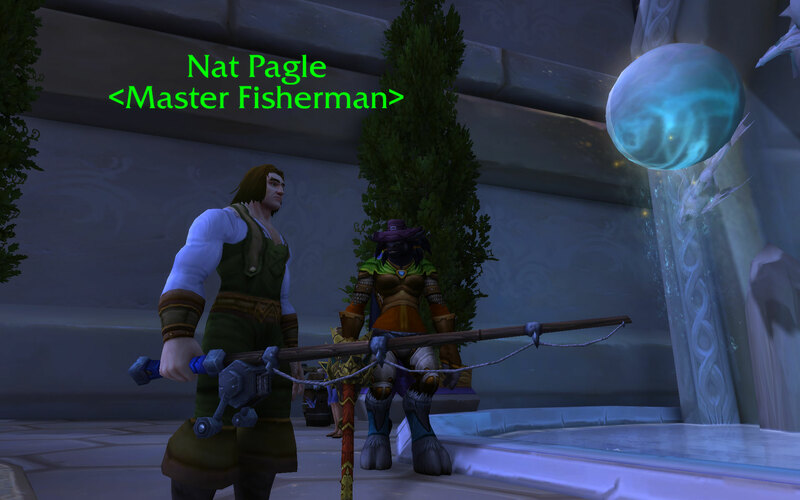 I had a chance to try the Stranglethorn Extravaganza today, managed to hook 31 Speckled Tastyfish before the (Alliance!) winner had their 40. Which is not too bad I guess, given an appalling start where I had bag rage, a pestering croc, and a dancing lure. 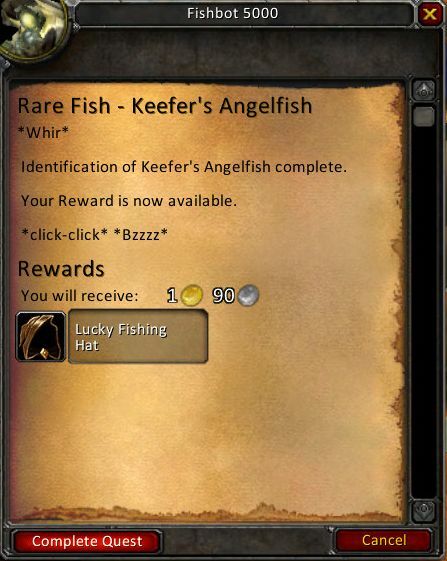 I also managed to hook a rare Keefer’s Angelfish, which rewards a very fashionable Lucky Fishing Hat – the new fishing outfit must be helping! Salty. The one Achievement (and title) I really want. 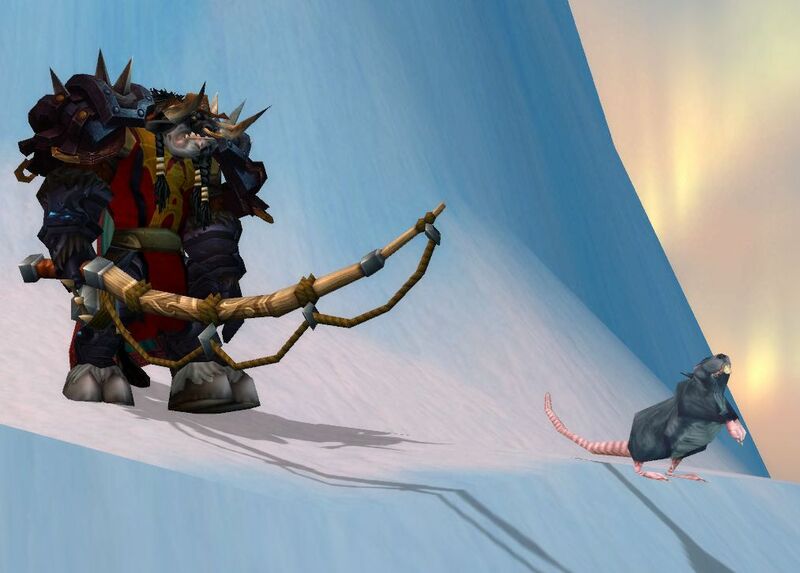 For inexplicable reasons I love WoW fishing. It’s medatative, can be profitable, and every cast is a surprise. Levelling fishing through the skill zones where you need 7+ catches for each skill point was mind numbingly slow, but then numbing your mind is almost the point of fishing. Right now I have every fishing Achievement needed for Salty but two. One is to win one of the two weekly fishing comps. Despite many attempts, including the latest this morning, I’m still waiting. If you think about the odds, only 104 players per server can win the comp each year and hence get the title. 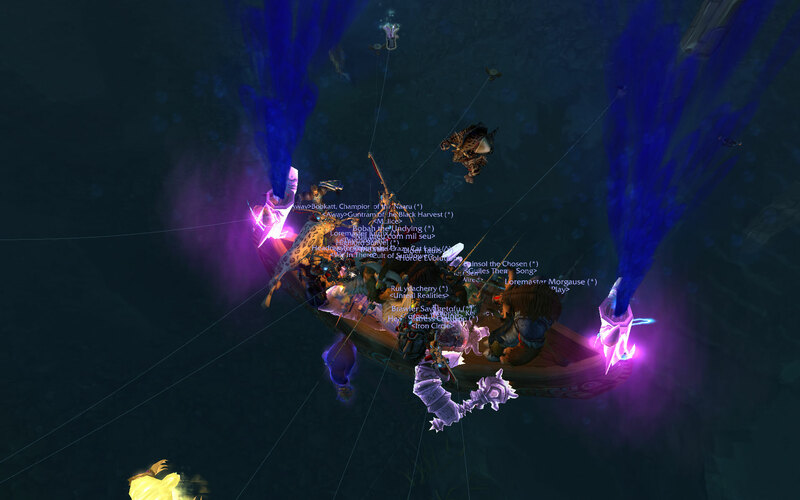 Before the added the Kalu’ak Derby in patch 3.3, it was only 52 players. Ouch. Unfortunately I’m on a US server, so the Stranglethorn Extravaganza is pretty much inaccessible, being a 9AM on a Monday morning. The other missing Achievement is the One That Didn’t Get Away, the goal of which is to catch one of ten possible rare fish. As of this morning, I’ve hooked 4302 fish, out of a total 6534 casts, and have yet to get one of those ten. But then that’s the great thing about fishing. Your very next cast could be the one you’ve been waiting for.